* Sheets may be producible with any material including silk. * Features elastic on both ends of fitted sheet and on the bottom end of the flat sheet larger ends than the conventional ones. Looking for a License with Royalties partnership. 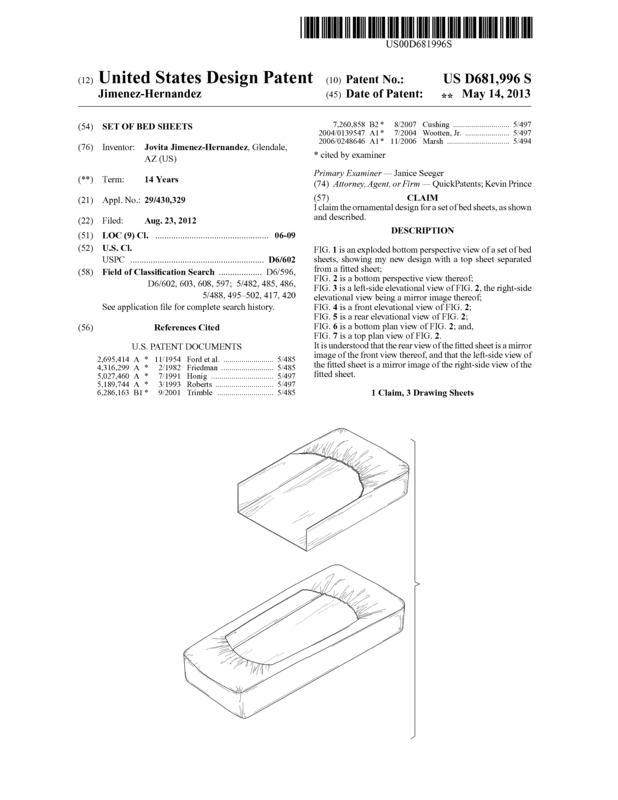 Page created at 2019-04-21 18:15:00, Patent Auction Time.